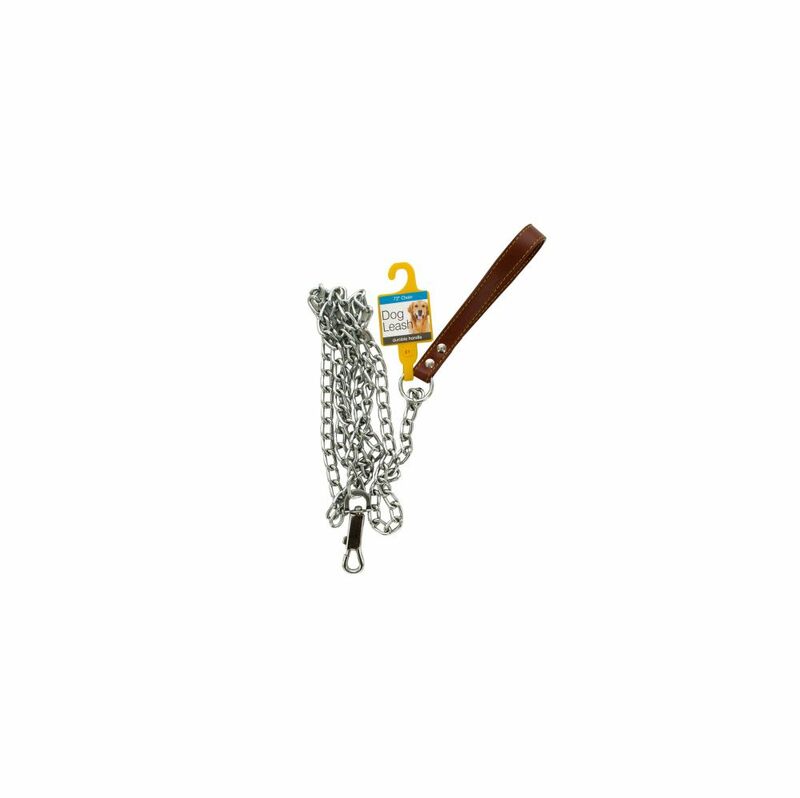 Comfortably keep dogs under control with this heavy duty 72 Chain Dog Leash with Durable Handle. Features a sturdy metal chain with an easy clip collar hook and faux leather handle. Comes packaged with a hang tag. 12 Pack of large size dog harness, fit 70lb-100lb. 12 Pack of large size dog harness, fit 65lb-90lb.